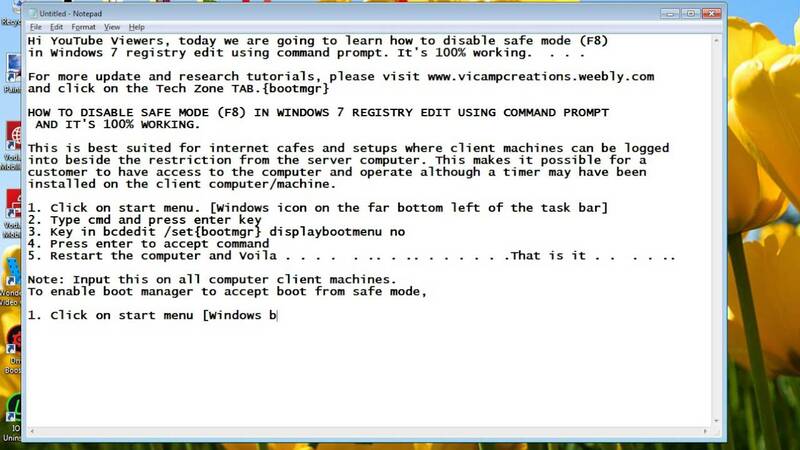 Few days ago I was also looking for an simple solution to disable safe mode in windows 7. I don't like any registry or MBR modifications and I don't want anyone to see BSOD after pressing F8 key. I don't like any registry or MBR modifications and I don't want anyone to see BSOD after pressing F8 key.